Perhaps THE most important element to Scrum and Agile is the enthusiasm for communication, openness and transparency. These factors underpin everything we do in our daily work using Agile and Scrum practices; they are why we value customer collaboration over contract negotiations and why we’re not afraid to respond to change as we know that feedback is important. It is with this call for open communication that Scrum encourages us to hold five key events during a Sprint, all intended to help us work efficiently and closely together, as well as to improve our knowledge and become more effective in the future. All are crucially important in their own right and it is for that reason that while I will briefly examine each one here. This is the event that kick starts each Sprint and is where the Product Owner and Development team discuss which Product Backlog Items (PBI’s) will be included in Sprint. While the Product Owner has the right to prioritise each PBI for potential inclusion in the Sprint, the Development team are encouraged to respond, raise issues and push back where necessary. The Development Team then forecasts how many PBI’s they can deliver in the Sprint, given their knowledge of velocity, resources and any factors which could influence the time and resources they have available. The outcome of the Sprint Planning Meeting is to get a Sprint Goal and Sprint Backlog that everyone agrees is realistic and achievable. Scrum seeks to efficiently use your time and resources and the Daily Scrum event is no exception. The Daily Scrum is time boxed to 15 minutes. Standing up is not compulsory. However, many teams find this a useful technique to keep the meeting short and to the point. The Daily Scrum is an opportunity for the Development Team to check in, assess progress towards achieving the Sprint Goal and to review and plan their activities for the next 24 hours. Look again at the above principle from the Agile Manifesto — “At regular intervals, the team reflects on how to become more effective, then tunes and adjusts its behaviour accordingly.” That principle alone sums up the reason behind our next two meetings, the Sprint Review and the Sprint Retrospective. Both events take place at the end of the Sprint. The aim of Agile approaches is not necessary to get everything ‘perfect’ the first time around, but to improve continuously. These events help make that possible. 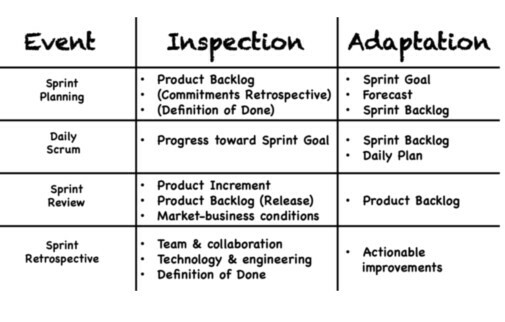 A Sprint Review usually takes place on the last day of the Sprint and allows you the opportunity to show the “done” Increment to stakeholders (customers, management and anyone else considered relevant and interested). As well as demonstrating working features produced during the Sprint, you’re also after useful feedback that can be incorporated the Product Backlog that may help guide the work for future sprints. The final meeting in the Sprint is the Sprint Retrospective. This is when the Scrum team reviews what could be improved for future Sprints and how they should do it. The ethos of Scrum dictates that no matter how good the Scrum team is, there will always be opportunity to improve and the Sprint Retrospective gives the team a dedicated time in which to identify, discuss and plan this. The whole Scrum Team should take part including the Development Team, the Scrum Master and the Product Owner. The meeting should be a collaborative effort, just like the entire Scrum and Agile process. The Sprint is an event in itself that contains all the work and all the other events that happen during the time boxed period of development. The Scrum Master is Simon Kneafsey. Simon is a Professional Scrum Trainer with Scrum.org, the home of Scrum run by Scrum co-creator, Ken Schwaber. 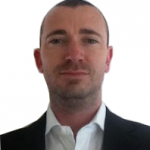 Simon offers Professional Scrum Certification training courses globally and works with clients to introduce Scrum to their organisations.